Minutes after terrorists slammed two airliners into the World Trade Center, streams of people crowded the emergency stairwells, heading in opposite directions. Thousands of terrified employees scrambled downward, toward exit doors and survival, while hundreds of New York City firefighters, laden with lifesaving gear, struggled upward, in a choice that would forever define their lives. Like the streams of people in the stairwells of the World Trade Center, two great tides are sweeping us in different directions today, and they call for us to make a choice that will define who we are, and whose we are. The rush of World Trade Center employees to save themselves from the buildings that would soon collapse was natural and understandable; I probably would have done the same. But the tide that sweeps us toward safety and security in our society today, the impulse to preserve the way of life we have known, to separate and defend ourselves from others whose differences appear threatening, is a rush downward, toward spiritual death. “For those who want to save their life,” their psuche, their identity, Jesus said, “will lose it” (Mark 8:35a). The difficult upward struggle upon which the church is embarked, in which we carry a lifesaving message for all who have ears to hear, the ministry of reconciliation that is ours, in which all people, vastly different though we may be, are united as a single human family in the household of God, is the struggle toward the only true life there is, even though it means going through our death. “. . . and those who lose their life for my sake,” Jesus said, “and for the sake of the gospel, will save it” (Mark 8:35b). And the gospel, the good news, is that the reign of God has begun (Mark 1:14-15), that in Christ God moved decisively to reconcile the world, leaving no one out (2 Cor. 5:16-20). No one. There is no longer Jew or non-Jew, slave or free, male or female (Gal. 3:28) – we are no longer separated by differences of faith tradition or politics or nationality, or social and economic status, or gender or gender identity. All of us are one in the household of God, no matter our differences. Not everyone has heard that message or wants to believe it. When tax collectors and sinners, those outside the popular virtue of their day, started listening to Jesus, the Pharisees and scribes started grumbling. The insiders didn’t like the message of reconciliation that embraced the outsiders. They had no room in their lives for those who were different from themselves. Especially today we hear a lot of talk about getting rid of those who are different and whose differences somehow seem threatening. Among some in today’s political climate, the message of reconciliation is not a popular one. But the message of reconciliation is our message as the church. It’s the message that shapes our lives as disciples and defines how we are to live in the world. And we know we’re on message with our ministries if tax collectors and sinners are coming to listen to us, if we are gathering into our fellowship those whom everyone else wants to keep on the outside. We know we’re on message with our ministries if the people who are drawn to the church don’t look anything like us, if they don’t reflect our social and cultural and political values. During the coming weeks I’m going to be thinking a lot, not about what we believe as disciples of Jesus but what we do as disciples. Jesus did not call us into a set of beliefs or doctrines; he called us into a way of living that in practical, everyday ways reflects the values of the present reign of God. And the first and maybe best thing we do in living as disciples is to embrace the outcast; to welcome the least, the last, and the lost of the world; to value our neighbors, all of them, even those we call “enemy,” because they are essential to our own wholeness. 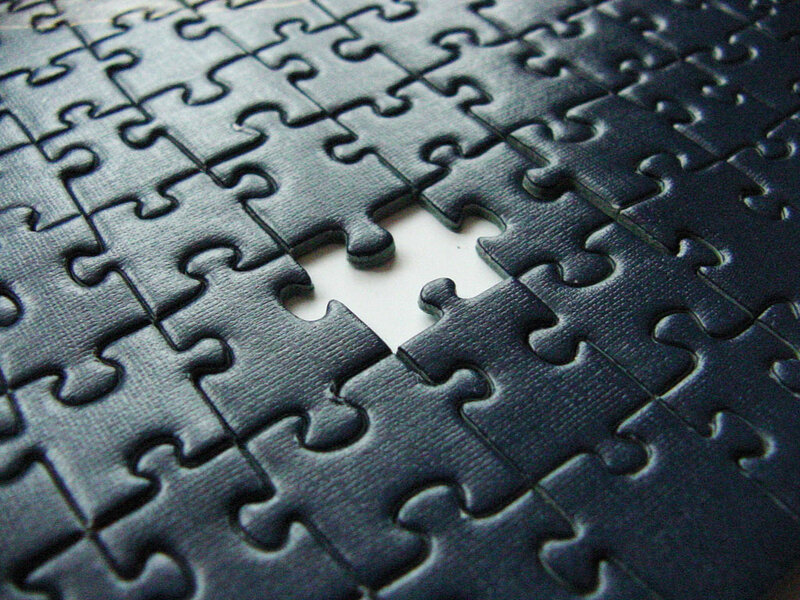 Every one of them is a missing piece that’s needed to make the puzzle of our own lives complete. Maya Angelou wrote a great poem about our relationship with others who are different. Take a moment and listen to it. How do you recognize a disciple of Jesus? What do disciples of Jesus do? We seek our own wholeness in life by searching out people least like ourselves, finding the common elements of human nature that make us one with each other, celebrating our unity, and serving our common interests as members of the family of God.